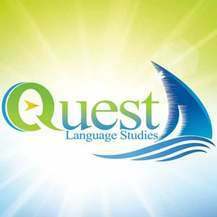 Quest Language Studies, established in 1997, is one of Canada's leading Language Schools. In 2007 we were awarded the distinguished Lyn Howes award, by the Canada Language Council, for commitment and innovation in program and service delivery. Together with Vancouver English Centre, our Vancouver partner school, we offer a wide variety of English Language Programs, Internship Programs, Summer Youth Programs, Exam Preparation Programs and Academic Pathway Programs (to university degree programs and colleges) in both Toronto and Vancouver. Quest's unique support systems for our partners and students combined with our focus on individualized attention make us an ideal choice as a destination for your students and successful long-term cooperation. Meet with us and discover all the great opportunities Quest has to offer. You will find our programs and services to be beyond expectation. Quest is fully accredited by Languages Canada and is a member of WYSE and CEC. Our foundation program offers a comprehensive communicative approach to learning English. The objective is to rapidly improve your English fluency through the development of the four essential language skills - speaking, listening, reading and writing. Power Preparation for TOEFL, IELTS, Cambridge and TOEIC* preparation are highly structured, comprehensive courses of study with a proven record of success. Participants will be challenged to work hard, learn efficiently and study strategically to ensure exam success. The morning periods (periods 1 to 4) concentrate on developing common core reading, critical writing and note taking skills. In the afternoons (periods 5 to 7), the emphasis is on speaking, listening and writing skills for exam questions and real time test drills to ensure your readiness for test day. In addition to covering all skill areas, the courses include assignments and computer practice on a regular basis. The Quest Academic Pathway Program (APP) is your gateway to the higher education you need for the career you want. - Full or conditional admission to a College or University degree program. preparation for academic success in your field of study. - Diplomas and Post- Graduate Certificates. Work for up to 3 years in Canada after graduating in your field of study. Up to 90% successful employment rate with full job placement assistance. Summer holidays, of course, depend on where you are from. For our Thai students its March, for Brazilians its January and for many others July and August. TESOL International (4 weeks plus practicum): This program is intended for high level non-native English students who have not yet mastered English and are interested in teaching in their home country or wish to attain a certain expertise in English. TESOL Professional (4 weeks plus practicum): This program is intended for those seeking a professional career as a teacher of English. It meets the requirements for accreditation and is suitable for teaching in many private language schools worldwide. It is a good school. And students can enjoy studying English.